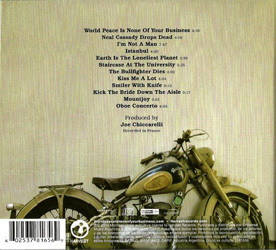 The second cd in the 2-disc edition is enhanced and also features the spoken-word videos for the songs "World Peace Is None Of Your Business", "Istanbul", "Earth Is The Loneliest Planet" and "The Bullfighter Dies". 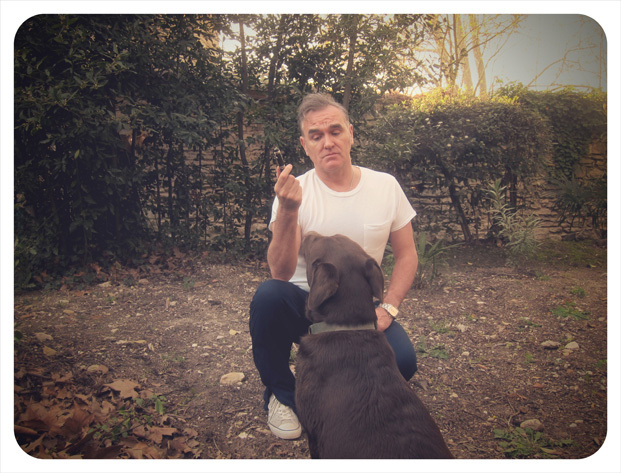 In many countries the album could be bought in 9 different bundles including different configurations or all of the following items: standard cd, standard LP, deluxe digital album, t-shirt featuring the album artwork, lithograph, 12 lyric sheets, poster featuring your and other fans' names within artwork, autographed copy of the UK Penguin Classics version of Morrissey’s Autobiography. 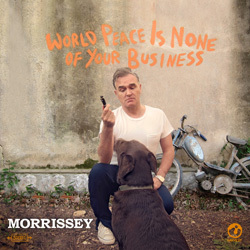 Morrissey at the time of recording of the "World Peace Is None Of Your Business" album. The original image was taken in Avignon, France near the La Fabrique studio where the latter album was recorded, but the background was changed for this album's artwork. The image on some formats/origin was more altered than on others, showing a bad case of Photoshop's clone stamp tool in the form repeated patterns on the wall to Morrissey's right (our left). The artwork for the deluxe 2-cd edition suffers from this, but not the LP format. UK: The releases of this album as well as the "Istanbul" digital single were promoted with the help of a one-track cd of the song "Istanbul" distributed inside a soft PVC sleeve with a colour insert showing the usual artwork. An artist information sticker is found on the back of the PVC sleeve. France: The release of this album was promoted with the help of a one-track cd of "Istanbul" sent around inside a soft PVC sleeve with a colour insert showing the usual artwork. USA: The release of this album was promoted with the help of a 4-track cd [Harvest, no catalogue number] in jewelcase featuring the usual artwork on the front. The promo features the album's title track as well as the 3 other album tracks also featured as the latter song's b-sides when released as a single.